يشكل فندق شقق هاي سيرف هوليداي بموقعه الممتاز في منطقة مطاعم, برامج عائلية, شواطئ ضمن المدينة، مكاناً ملائماً لقضاء العطلة بعيداً عن عجقة أيام العمل. يقع مركز المدينة على بعد 8 km فقط. ويمكن الوصول إلى المطار خلال 25 دقيقة. يوجد العديد من المعالم السياحية الأكثر جذبًا للسياح في هذه المنطقة. يعمل شقق هاي سيرف هوليداي على ضمان إقامة مريحة لضيوفه من خلال خدماته الممتازة وحسن ضيافته. يقدم الفندق فرصة للاستمتاع بشريحة واسعة من الخدمات بما فيها: واي فاي مجاني في جميع الغرف, تخزين الأمتعة, واي فاي في المناطق العامة, موقف سيارات, انتقالات المطار (من أو/و إلى) . بالإضافة لهذا، تتضمن كل غرف الضيوف مجموعة واسعة من وسائل الراحة . بعض الغرف توفر حتى تلفزيون بشاشة مسطحة, اتصال لاسلكي بالإنترنت, مروحة, اتصال لاسلكي بشبكة الإنترنت (مجاني), سياسة التدخين - غرف لغير المدخنين متاحة لإرضاء أكثر الضيوف تطلبًا. يقدم الفندق مجموعة رائعة من الخدمات كمثل مركز للياقة البدنية, ساونا, مسار جولف - ضمن 3 كم, مسبح خارجي, مسبح داخلي، لجعل إقامتك تجربة لا تنسى. استمتع بخدمات لا يعلى عليها وعنوان ذو اعتبار في شقق هاي سيرف هوليداي . 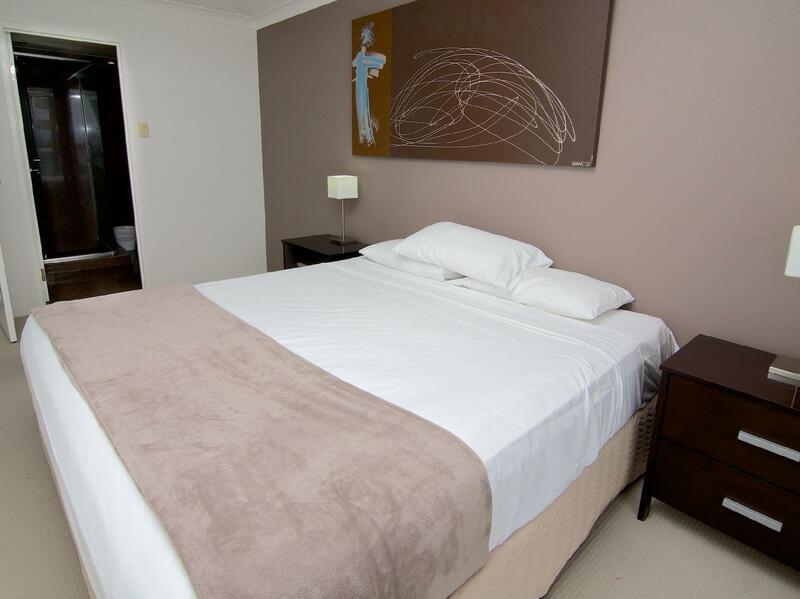 During our stay we had a spacious, recently renovated 2 bedroom apartment. The public facilities in the complex were great but best of all were the magnificent views from every window. Ocean views, hinterland and river views as well as lights at night. Hard to beat for value so we'll definitely be back. Staff was plain rude. Poor service provided. The apartment was quite old. It was clean though and very large. we booked 3 apartments as 3 family were travelling together. all apartments were given in different floors with different standards 'that will create a conflict between families . Some apartments dint have air conditions in all the rooms . good value for the money and the location staff were very friendly. The photos on the website looked great, we normally stay in Q1 for a week and 3-4 days in another hotel. Maybe our standards are too high but this property was listed as a 4* hotel. Pictures on the website look great, modern apartments etc. Our apartment was so outdated, the kitchen was falling apart, badly used, seemed to be from 50's era, all the taps were in bathrooms were different, no locks on any bathroom doors, no key given for the balcony to lock ( we have small kids), only one air con in the living area, we had a very hot week and the aircon in the living area was not enough and it was way too loud anyhow, the walls were painted in the enamel paint as well as doors, they even painted the fire sprinkles in the enamel paint making them completely useless, not sure how to attach the photos as I have taken some. The location was great but everything else was a big disappointment for us. Good place to stay with great ocean view. Very easy access for late check in, there is pretty much everything you need for a short stay. We have 2 young children, so can’t really walk to Surfers Paradise, it might take about 10-15 minutes, so if you are travel with young kids, you will still need to drive to the city centre. Otherwise, it wont be a big issue for you. We will definitely come back. great value, great view. Will come back again. I booked this hotel on a whim, as some reviews werent great but thought why not give it a go. And im so glad i did. It is by far the best hotel iv stayed in on the coast. Close to all shops of cavill ave but yet just enough out of all the hussell and night life. Highly recommend families to stay here as my teenaged kids loved it as much as we did. Cant wait for another visit. Our apartment, although needing some refurbishment, was spotlessly clean, well furnished with spectacular views of the ocean and the canals. We were within walking distance of Cavill Avenue, the night markets and the light rail. Photos provided were a bit misleading, giving the impression of direct view of the ocean. Our room only had a side view of the ocean. Free WIFI was provided but the password wasn't provided automatically when we checked in. By the time we realised that reception was closed so my children weren't able to do their school work. We stayed for two nights but was provided a small sample size of dishwasher detergent and powder and no washing machine powder. Lounge had air con but rooms had only ceiling fans which was not great with sweaty kids. There is an oven but no baking trays. The good were Foxtel, indoor heated pool and spa. Beds comfortable. Washing machine, drier and kitchen were great. Location was great and easy access. Was so surprised when we entered our apartment to find it quite inviting and very clean. 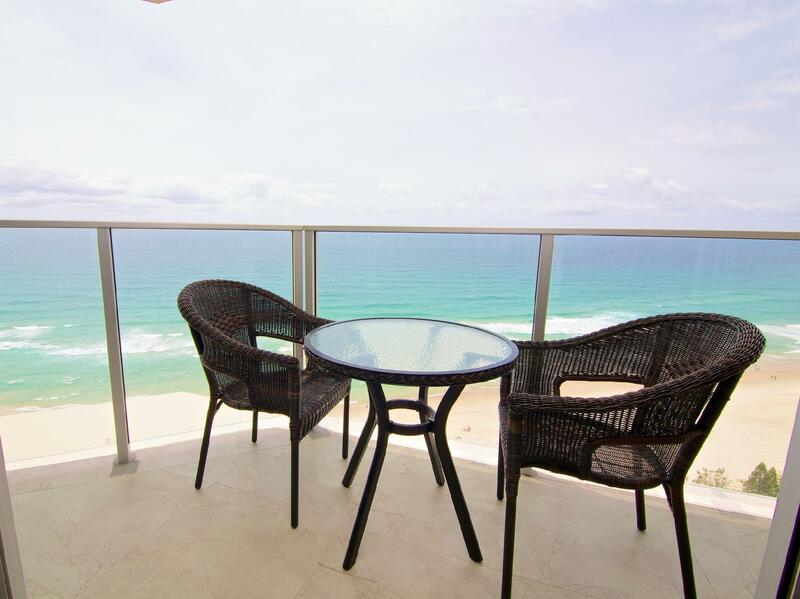 It accommodated 4 of us travellers quite well, so convenient having the beach right across the road and the main part of surfers just a short stroll down the road. The light rail station was at the other side of the driveway which came in very handy at times, highly recommend this place to one and all who travel to the GoldCoast. Bedroom doors broken, no locks in the bathroom, shower head broken, very dim lights and half of the lights fused. Overall the entire place was quite old. The best part of the apartment was the view. We had booked in elsewhere and found that room was not as advertised. Hi surf appeared to be nicer and didn't disappoint. The room was spacious and light, the manager was friendly and it had some great facilities including indoor and outdoor pools and a playground for our little one. Right next to both the beach and a team spot. Awesome. No air cons in bedrooms was a let down, the kitchen bench tops timber polish coming off all over... otherwise really liked the place large living kitchen dining rooms were large plenty hanging cupboard space. Terrific view of the beach from all angles. Really enjoyed the Hotel, just outside the main strip. Tram was very handy at front door step where you could head all the way down to Broadbeach and anywhere before in 15 minutes & less. Check in was a breeze never had a single issue with the Hotel. Views exceptional !